Let me begin this article by saying that I absolutely adore my rabbits. However, there are cons of having rabbits. I have four fluffy bunnies—three boys and one girl—that I’ve pretty much devoted my life to. I’ve had rabbits since 2010 when a flyer for free bunnies at a local grocery store essentially ruined my life. Now, after becoming an experienced rabbit mama over the last eight years, I’ve discovered that while these four living creatures are one of the greatest joys of my life, they also really annoy me at times. So without further ado, here are six cons of having rabbits. One of the cons of having rabbits is that they have high metabolisms, so they are pretty much constantly eating. I feed my rabbits four meals a day (breakfast, snack, dinner, bedtime snack). This sounds ridiculous, but this is what works best for us since they eat so much and need regular feedings. So it goes without saying that they eat a lot of food. The staple of their diet is fresh timothy hay, so they go through bunches of this. It helps wear down their teeth so they don’t have dental problems later. A rabbit’s teeth are constantly growing, so they need to be chewing a lot so their tooth roots don’t grow into their skull (this happened to Olivier last spring due to his being inbred; the surgery cost over $3,000, so yeah, don’t neglect to give them hay). 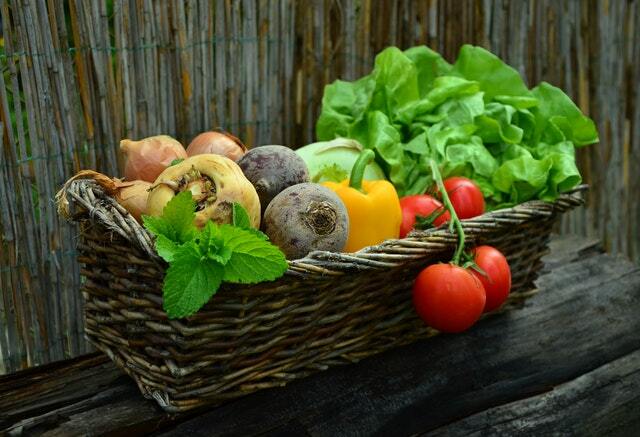 They also eat lots of fresh vegetables such as carrots, collard greens, kale, and red and green leaf lettuce. They occasionally get fruit for a treat (they are completely bananas about bananas). Depending on if my garden is doing well, I do spend some money on rabbit food. If you have a garden, it’s a lot cheaper to own a rabbit! You can buy hay in bulk at your local farm store, just make sure it’s fresh. 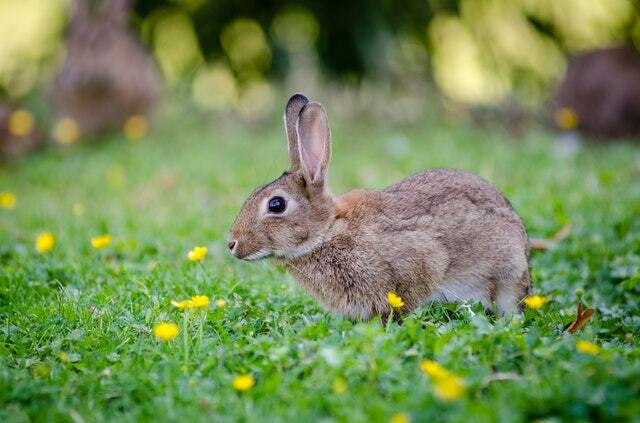 While rabbits can control when and where they pee, they don’t have the same motivation to do this with their poop. All my rabbits are litter-trained when it comes to pee (most rabbits are instinctively so), but they poop everywhere. Although this is one of the cons of having rabbits, fortunately, their poop is pretty cute, they are formed spheres that don’t make much of a mess. Regardless, I clean their living quarters numerous times a day to keep the area clean. When you have four of these critters, all that poo adds up. When I first saw Merthin and Olivier (in the below photo), just hours after their birth, the wonder and emotion I felt couldn’t be contained. Of course, I didn’t handle them until weeks later when this photo was taken, but they were so adorable I felt like I would throw myself in front of a truck to save their lives. Having something this cute in your house means you bend the rules just a little to ensure that they are happy and comfortable, which is one of the cons of having rabbits. My rabbits pretty much run my life. Is it because they are cute? Maybe. Is it because I love them? Yes. They are animals and do not respond to discipline the same way that children do, so instead of being angry that they accidentally bit you or ran away from you while playing outside, you just love them. You love them so much that the cons of having rabbits don’t seem like a big deal. To me, this is one of the major cons of having rabbits. Some rabbits seem to shed more than others. My two outside bunnies don’t shed much. My two albino rabbits, who are inside, shed terribly about two times a year. It’s honestly awful. I usually take them outside and gently pull all the loose hair off and let it float away in the breeze so it doesn’t float all around my house. As one of the cons of having rabbits, there’s not much you can do about the shedding besides ride it out until the shedding process is over, which can take a couple weeks. If your rabbit is shedding often, for long periods of time, or losing lots of hair during non-shedding periods, this could be a sign of a nutritional deficiency and should be evaluated by your rabbit-savvy vet. Otherwise, get the vacuum and lint rollers out. Actually, finding a vet who will even see rabbits can be difficult. This is one of the most frustrating cons of having rabbits. 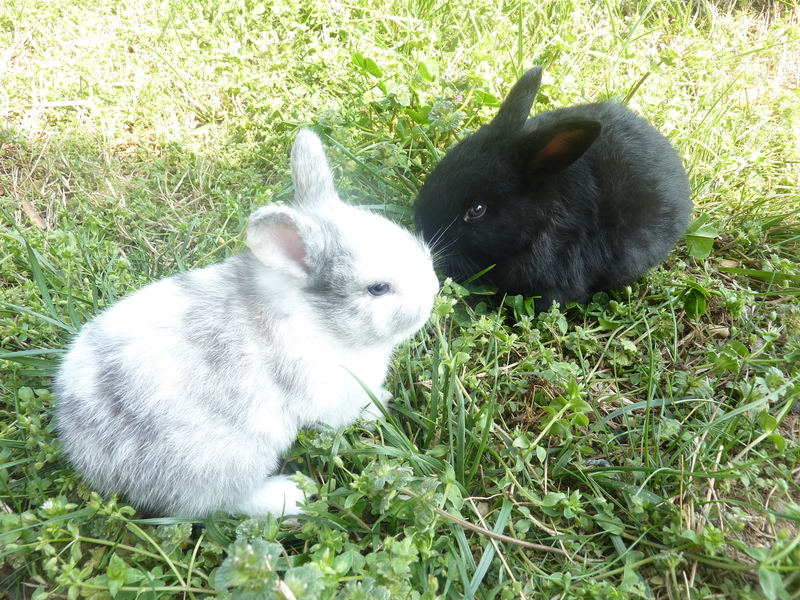 When we lived in North Carolina and Nadir and Fiver were experiencing gastric distress (also called GI stasis), I called about ten different animal clinics in the area only to be told none of them saw rabbits. What’s even the point of being a vet if you can’t treat anything besides cats and dogs? Fortunately, I was able to heal Nadir and Fiver by giving them water from oral syringes (as they refused to eat or drink) and abdominal massages. You can find out more about bunny distress here. I do not recommend treating your bunnies without professional vet care; I only did this because I had no other option. Now, we live outside of DC where there are a few rabbit vets in the area. The one we go to in Fairfax is my favorite. It’s expensive, but after having had one of my rabbits misdiagnosed at another vet, I won’t go anywhere else. It’s not worth it. If you’re considering getting a rabbit, ensure you can find a reputable vet who will see your bunny first. Otherwise, if a problem comes up with your rabbit, you won’t have anyone to turn to. The Internet is not a reliable source of information! This is, in my opinion, one of the biggest cons of having rabbits. They are prey animals and easily scared. In the wild (like the wild rabbit above), their fear would keep them alive. In my house, it only serves to cause them and me additional stress. They should not be kept in homes with a lot of noise, such as barking dogs, loud televisions, or loud people. They really, really enjoy their quiet. They absolutely hate the car. Some rabbits do better than others, but my two inside rabbits are petrified of the car, making vet visits and traveling very difficult and stressful for all of us. They do not like being handled by unfamiliar people. Again, some rabbits do better than others, but mine are wont to bite and scratch you if they don’t know you and you try to handle them. They do not like things happening outside of their usual routine or being moved to different living quarters. Many people don’t realize that rabbits can actually die from stress (see the gastric distress link above). This is a very real concern for rabbit owners. If you’re going to commit to a bunny, it needs to be in a quiet home where the rabbit can have its own space and live in peace while you take care of it and it gets some fresh air, playtime, and plenty of good food. Having rabbits has been one of the great joys of my life, but my life and the decisions I make in my life pretty much revolve around these little critters. I love them and can’t really see myself without rabbits at this point, although I probably wouldn’t have four again, maybe just two! If you’re considering getting a rabbit, know that these cons of having rabbits are real concerns for potential pet owners. Know before you adopt!